The only thing I really knew about Louis Vuitton as a brand were the monogrammed bags that were all the rage in the early 2000s. These were so popular I remember my 13-year-old self begging my mum to buy me a fake one from the local market. If anything – it was as though those two letters, LV had become a parody of themselves. Until visiting the Louis Vuitton exhibition with my good friend Nadine from Flourishing Petal, my opinion of the brand has definitely changed. Prior to this, all I could think of Louis Vuitton was tacky and overpriced (even though I indulged in it aged 13). I mean it in the sense that people I knew used their Speedy bags as ‘status symbols’. Sure they’re nice but I would rather spend my money on experiences – hence my love of travel. It should be said that Louis Vuitton’s craftsmanship is stunning and the amount of detail that goes into making a piece definitely justifies the price. I just have different priorities – Flights over bags any day! 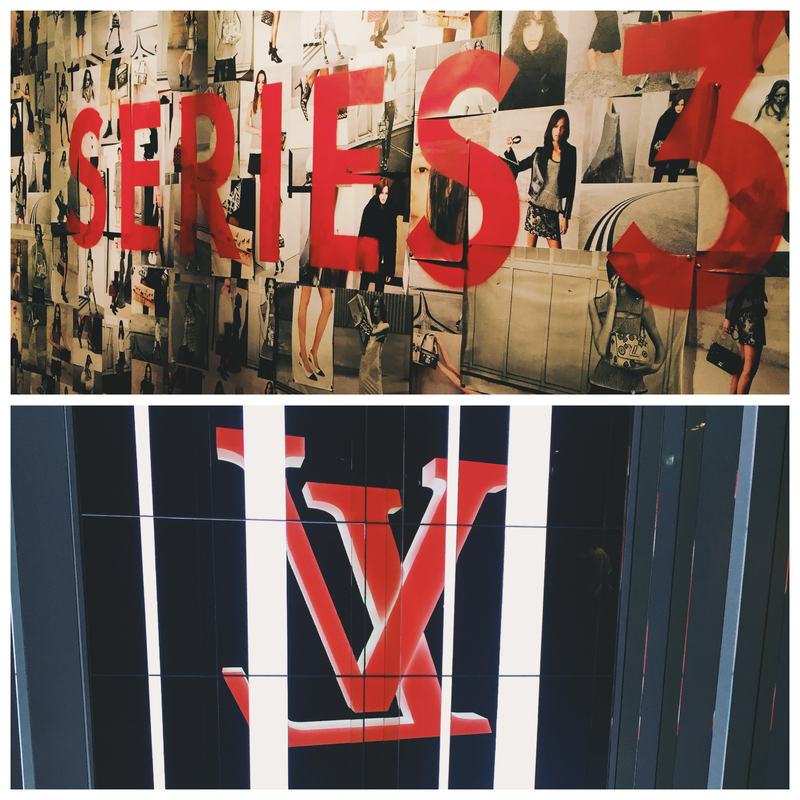 Anyway, the Louis Vuitton Series 3 Exhibition was really interesting, to be honest I’m still not sure how I feel about it, I’m glad it was free though! It was visually exhilarating and I definitely learnt more about the brand but I don’t know if anything really stood out for me personally. However, I have now learnt that Louis Vuitton is French, not Italian. I’m really not sure why I had always thought that! If anything this exhibition taught me how to brands present themselves and what truly makes them unique. Same goes for the blogging world, you should aim to present yourself and ultimately have a unique selling point as to why people should come to your blog. Please note – All exhibition images in this post were taken by me on my iPhone 6. "Musings: The Name’s Bond… James Bond"